Another two weeks, another blog. And in the past two weeks the Dice Tower Awards have come and gone. Dead of Winter picked up three awards including best game so in its honor I brought it along. I was the betrayer but never got a change to do any betraying because the game beat us too quickly. So many deaths and so little morale. It was a harsh winter. Demetri made his not so triumphant return to IpBoG, where he played Citadels and was assassinated for something like five turns in a row while Alex had a run away lead. Alex brought Rattus, which made its IpBoG debut. I played a quick Sushi Go before finishing off the night with a few games of Lost Legacy. Matt won all of them. Others played Luchador!, Fluxx and Tragedy Looper. This week the stars finally aligned and Gemma came on a night that I'd brought Abyss so she finally got to play it again. For some reason I quite like winning at Abyss. I think Dan does too and this time he won. I scraped second place. His turn came just before mine and he kept sweeping in and recruiting the lords I'd planned on getting. But this was to be the end of Dan's winning streak and the start of mine. We played Blueprints next and I won by a mile. Followed by Biblios which I won by another mile. And then a couple of games of Sushi Go which I won both of. Danny was playing his usual affair of Luchador! and Tragedy Looper. 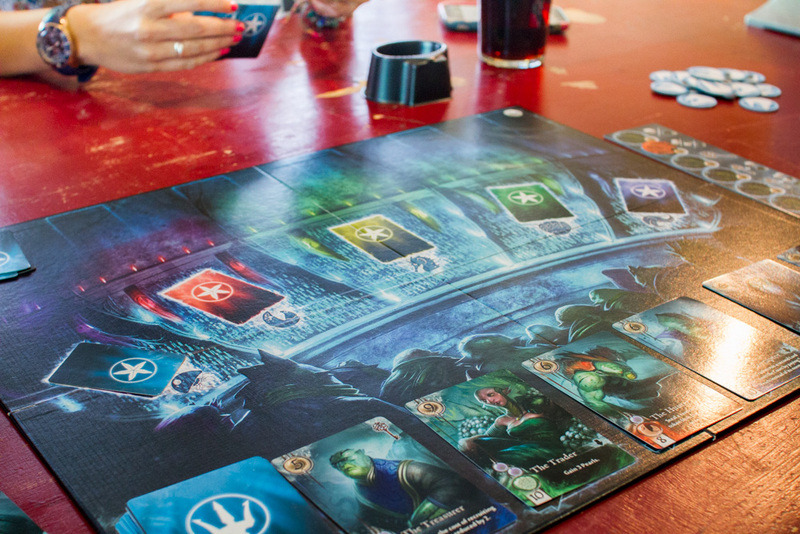 I hear rumours of people playing Pandemic although I didn't witness it myself. 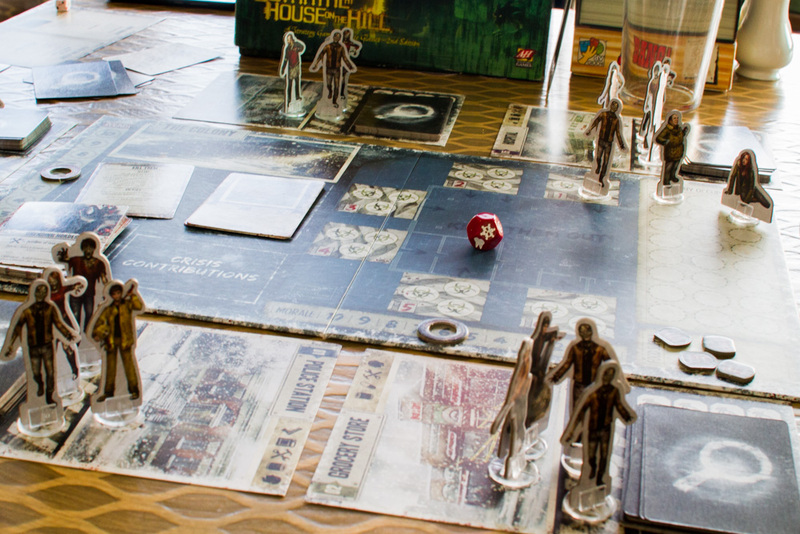 This week also saw Zombicide, a game that's not made it to IpBoG in around a year. The night was finished off with a few games of The Resistance including the Hostile Intent expansion. If there's a correlation between how loud a group is being and how much fun they're having (which sounds pretty likely) then Hostile Intent must be the funnest expansion around.